Recently, a few high school students took advantage of a job shadow opporutnity to learn more about the field of orthodontics. 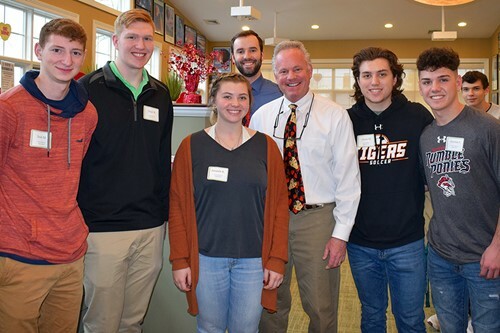 Josh Mollo, Nick Waitkus, Amanda Kiser, Jason Moretin and Quinlan Ingraham learned more about careers in dental health when they participated in Hatala Orthodontic’s annual Groundhog Job Shadow Day. Joining other students from area school districts, they job shadowed Hatala and his staff through a typical work day. They learned about the skills, techniques and equipment used in the orthodontic office. The opportunity to participate in the Groundhog Day Shadow is available to juniors and seniors who are interested in health careers. Thank you to Dr. Mark Hatala, Dr. Patrick Scannell, and their team for offering this work experience to our students!